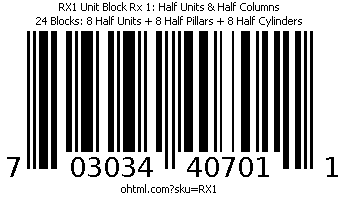 Add this RX1 Unit Block Half Block Remedy Set 1 includes pieces that address what we feel to be a significant oversight in Community Playthings standard unit block sets: There are no half pillars, no half cylinders and insufficient half unit blocks in standard Introductory, Preschool, and Quarter Classroom Sets of Standard Unit Blocks. 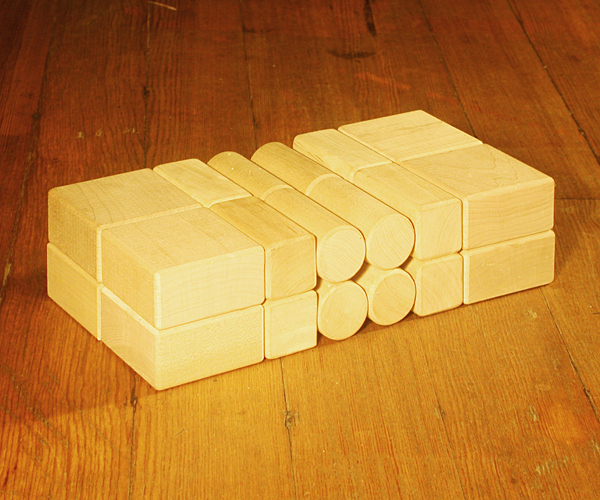 Half cylinders and half pillars are commonly paired with full-sized pillars and cylinders by preschoolers in order to create unit block children and adults for small-scale dramatic play with blocks. 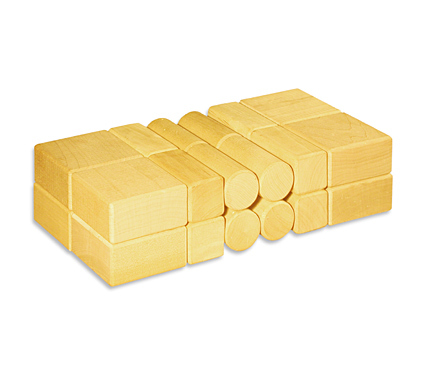 Add this set to our CP61 Quarter Classroom Set of Unit Blocks, our CP31 Preschool Set of Unit Blocks, our CP11 Introductory Set of Unit Blocks, or to an existing Community Playthings G461 Quarter School Set, G431 Preschool Set, or F151 Introductory Set to fill in these critical missing pieces. This is not a stand-alone set. Designed to fill in the “missing” and high-demand pieces in a standard unit block classroom or home set.